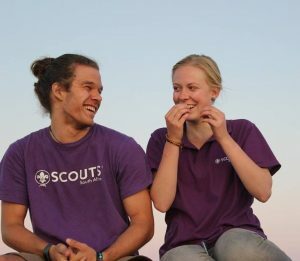 Anybody wanting to visit a Group – Cubs, Scouts, Rovers – abroad needs to have a Letter of Introduction from SCOUTS South Africa. This is a standard procedure for all NSOs. In the case a member of SSA travels abroad the a standard WOSM issued “Letter of introduction card” needs to be signed by the International Committee Chairman or Chief Commissioner. This indicates that the person is in good standing with their NSO. Moving abroad and you want to join a group there? Interested in participating in an international camp/jamboree/conference/event? Almost all events such as these have their own application processes. Please note that as a member of SCOUTS South Africa you are NOT permitted to engage in any official Scout activities outside of the country without having consulted the International Committee or National Scout Office first. To contact the International Committee email international@scouts.org.za. All international Scouting visitors – be it as a tourist or an exchange programme – who wish to be in contact with members of SCOUTS South Africa are required to contact the International Committee prior to visiting South African Scout Groups. Anybody wanting to visit a Group – Cubs, Scouts, Rovers – needs to have a Letter of Introduction from their National Scout Organisation (NSO). This is a standard procedure for all NSOs. It can be in the form of a letter on the NSO letterhead or on the WOSM issued “Letter of Introduction cards”. Either-way it needs to be signed by the International Commissioner/Chief Commissioner. This indicates that the person is in good standing with their NSO. Note: In South Africa this is also prescribed in our Child Protection Policy. Visiting on a Scout-lead tour/trip? 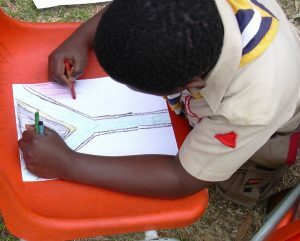 Send an email to international@scouts.org.za and attach 1) An itinerary of your trip and a completed form . Find required form here: International visitors August 2018 v1.0 and 2) the letter from your National Scout Office (NSO) confirming that you are a registered member of the Scouting Movement in your country and that you are in good standing. Visiting on holiday and wanting to connect with a local troop for a visit? Send an email to international@scouts.org.za and attach the letter from your National Scout Office (NSO) confirming that you are a registered member of the Scouting Movement in your country and that you are in good standing. Please also be specific about in which city you will be and the dates of your intended travel. Have you recently moved to South Africa and want to join SCOUTS South Africa near you?Please contact the National Scout Office at info@scouts.org.za and they will put you in touch with the Regional Office in the area where you reside. Alternatively, have a look at the Scouts Near You which may well assist you on our website here. 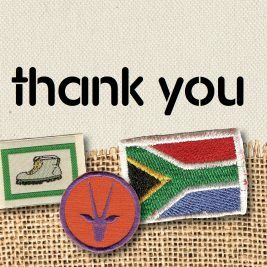 Looking for a South African Cub Pack or Scout Group to correspond with? Send an email to international@scouts.org.za detailing your request and attach a letter from your National Scout Office (NSO) confirming that you are a registered member of the Scouting Movement in your country and that you are in good standing. Once received, we will share your request with our members!